If security is your concern, you should consider this application when connected to your friends and family online. 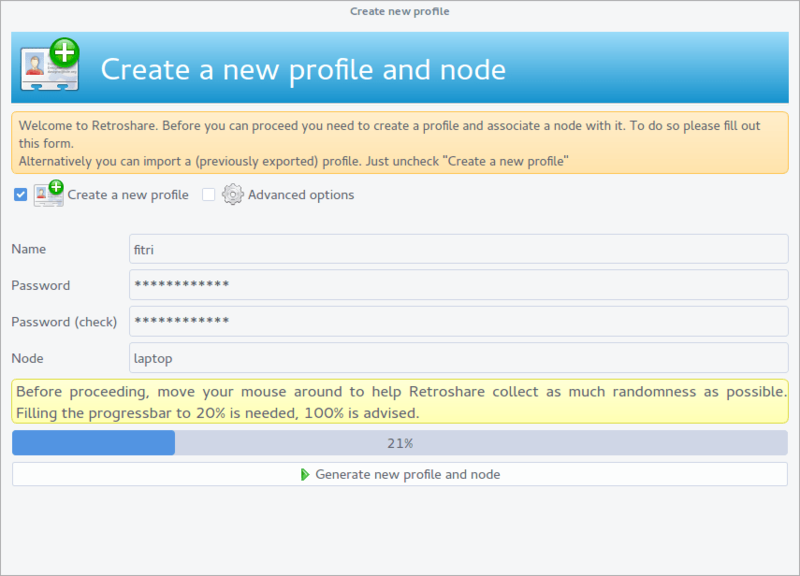 Retroshare, a GUI application that allows us to chat, share files to friends securely. When you feel your current file sharing service you are using is not secure enough, then swith to Retroshare. 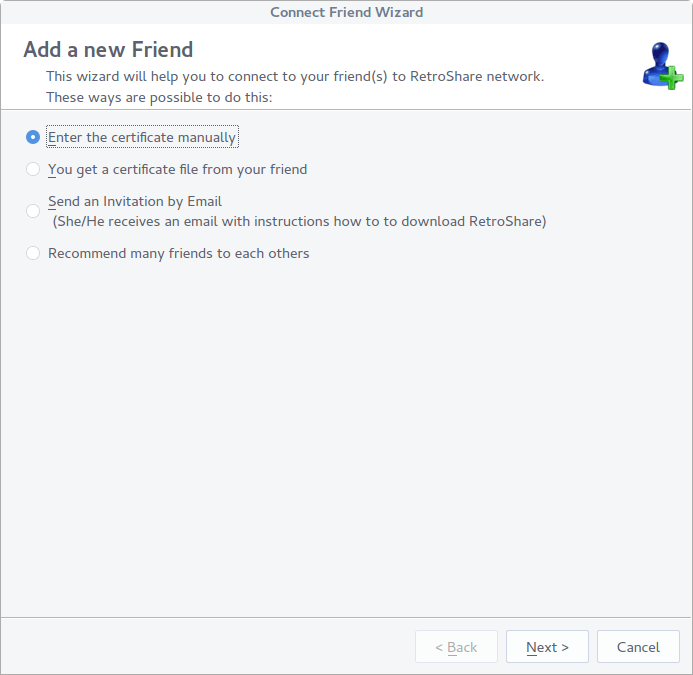 Retroshare can be used to chat, mail, file sharing, forum with extra security features for those features. It uses the idea of Peer 2 Peer technologies and better encryption system. After install Retroshare icon will appear on your application list (Dash). On the first use, you will need to create a new profile for you and your computer. You will need to enter your name and create a strong password for your profile. Retroshare will create randomness for better security. This randomness is gained from your mouse movements. After new profile is created, you can now start using it. You will need to add friend to get connected. 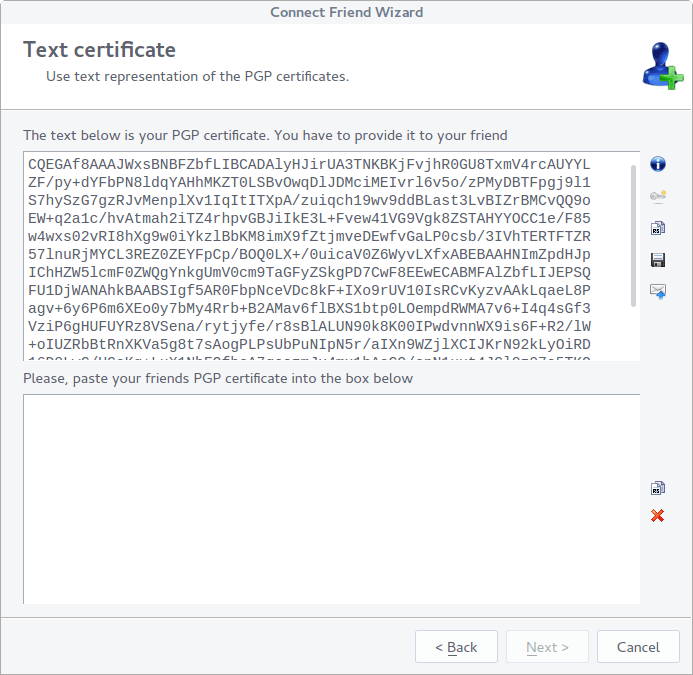 To add a friend you can choose the certificate authorization method. You may enter the friend’s security certificate manually, send invitation link via email or using certification file. Its a bit harder to add friend but again this is for security matters.